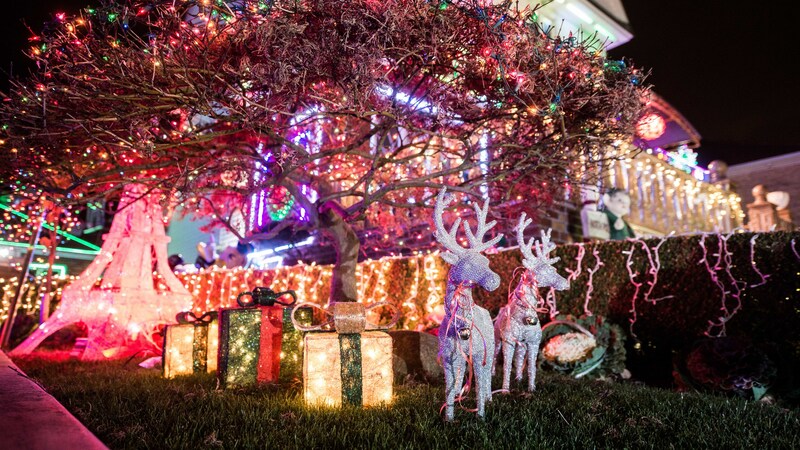 Dyker Heights Christmas Lights 2019 display offers so much luminous, holiday razzle-dazzle that you may want to wear shades. 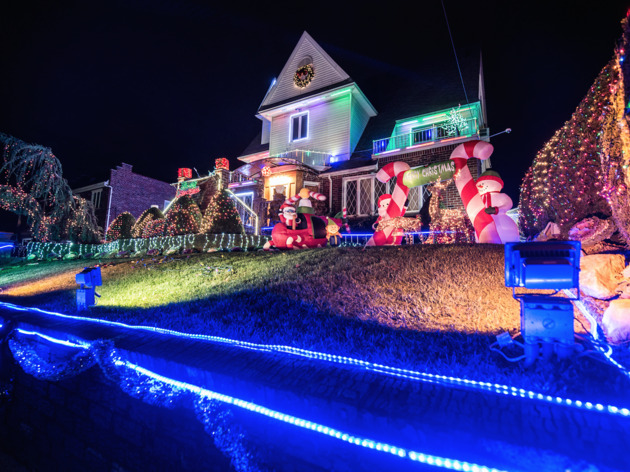 Seriously, the Kings County neighborhood is home to the most over-the-top Christmas lights we’ve ever seen with more than tens of thousands of lights. 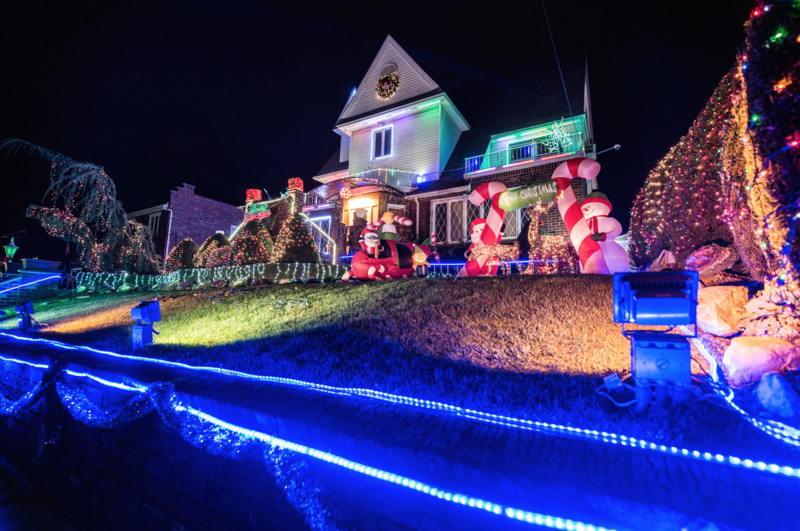 As one of the most popular Brooklyn attractions, the event entices crowds with inflatable Santas, snowmen and houses blasting Christmas carols from loudspeakers. The experience involves you wandering down multiple blocks and avenues for hours, so make sure you bundle up and peep our list of bars with fireplaces where you can warm up afterward. 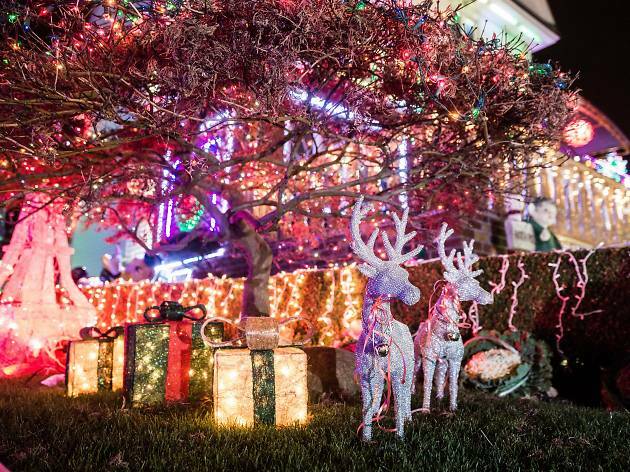 Most of the homeowners—and professional decorating companies—hang their Christmas lights and decorations the weekend after Thanksgiving. However, the best time to see the lights is mid-December through New Year’s Eve. We suggest going anytime between dusk and 9pm, if you plan to travel by foot. Most of the houses turn their displays off after 9pm but some do leave theirs on later (depending on their bedtime). 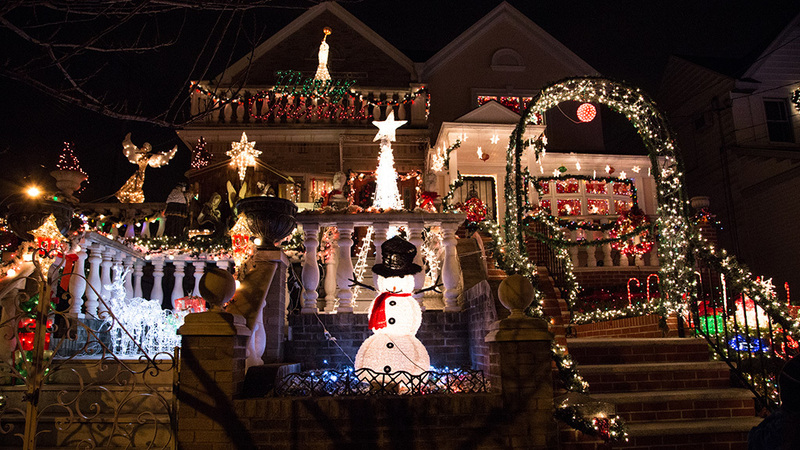 You’ll see breathtaking light displays from 11th to 13th Avenues (also known as Dyker Heights Blvd) from 83rd to 86th St in Dyker Heights, Brooklyn. If you’re traveling by subway, take the D Train to 79th St and New Utrecht Ave, Brooklyn. However, you’ll have to walk 15 minutes to get to the houses (and the terrain is a bit hilly). Word to the wise: Traffic as well as parking is generally lousy, so you might want to leave your car at home. You bet! 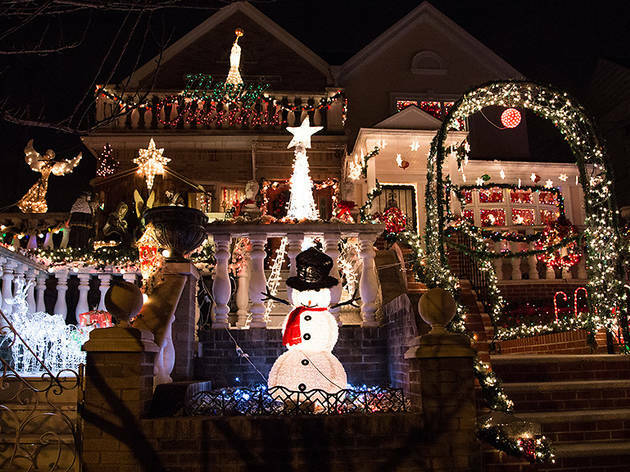 A Slice of Brooklyn hosts a great Dyker Heights Christmas Lights tour every night in December, excluding Christmas Eve, Christmas Day and New Year’s Eve. The guided tour last approximately 3.5 hours ($50–$55 for adults, Children under 12 $40–$45) and allows you to explore the houses both on foot and by bus. You can purchase tickets here, but you better get your hands on them sooner rather than later—this tour always sells out early!